The SI-MODULAR® structural frame-stick system makes it possible to use the complete wall cross-section of 30 cm for the thermal insulation of the building. A 25 mm thick ESB Panel constitutes the inside paneling, which braces the building at the same time. A moist-regulating vapour barrier contributes to a balanced room climate. 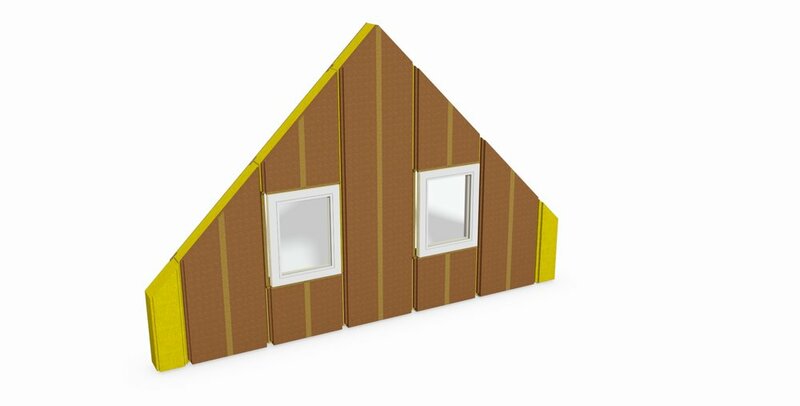 The outer finishing consists of an 80 mm thick insulation panel made of wood fiber board. This board is matched exactly to the system and is placed in three parts from the inside between the pillars. The remaining space between outer and inner shell is filled with 220 mm rock wool. This results in a highly heat-insulated exterior wall, which even meets the requirements of passiv building. Since it is a modular system, which must be constructed according to a same type statics, the modular system is subject to some defined boundary conditions. To ensure the stability the corner panels of each building must be closed (i.e., no windows or doors). In order to simplify the planning process, we have compiled a basic set with the required 8 wall elements as well as 4 corner elements. With or without facade. No matter how many axes you choose, the four corner elements always remain the same. In addition to the corners you can fill the empty wall field with three different elements. In addition to the closed wall elements, you can choose from two different window formats. 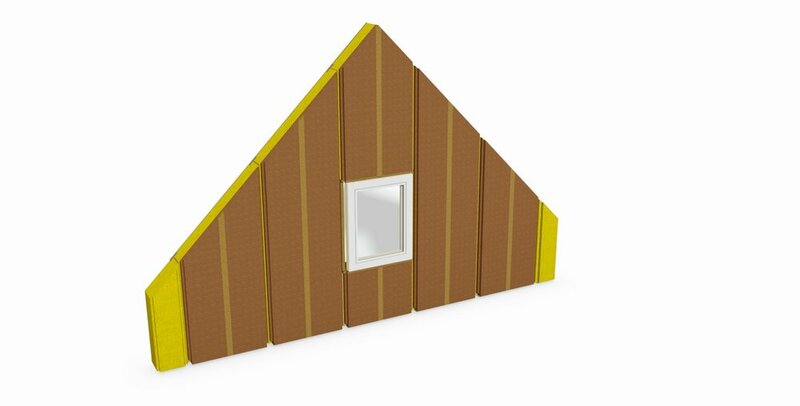 The 4 different end wall variations include the material for the gable wall including 25mm ESB, moist-regulating vapour barrier , rock wool, wood fiber board, on request also including windows.